Black titanium certainly knows how to leave a lasting impression. Take a cue from our benchmark black titanium men’s wedding ring with a center cut that is highly polished and finished with round edges. 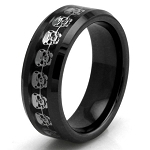 This contemporary wedding band exudes no shortages of masculinity and will look great on your finger for years to come. Titanium is one of the most popular alternative metals on the market. This durable metal is beloved for its superior resistance to wear and tear, which is ideal for men who aren’t afraid to roll up their sleeves and break a sweat. Titanium never cracks, scratches, or loses its color. 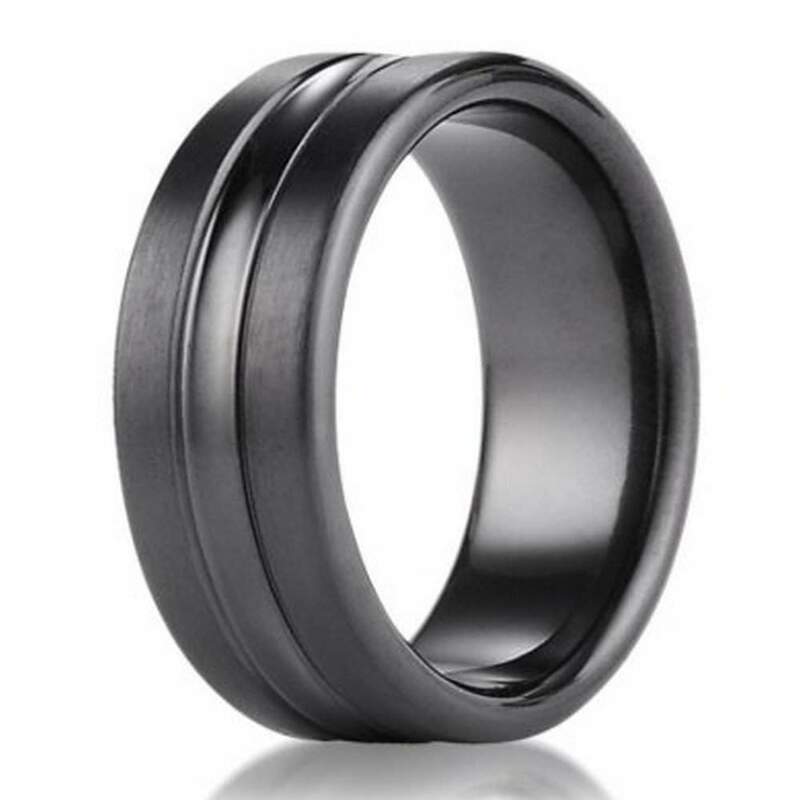 When you choose our 7.5mm benchmark black titanium men’s wedding ring with a center cut, you won’t be able to hide your delight as your beautiful bride walks down the aisle. Our benchmark black titanium men’s wedding ring with a center cut is also hypoallergenic and safe to wear if you have sensitive skin. Comfort fit rings such as these are easy and comfortable to wear if you have large knuckles. Although titanium can only be resized by specialty jewelers, its affordable price makes it easy to replace your wedding band it is removed, lost, or stolen. Comfort fit rings usually measure a half size smaller, so you should play it safe by having your ring finger sized by a professional jeweler to determine whether a comfort fit ring is right for you. If you have any questions about our 7.5mm benchmark black titanium men’s wedding ring with a center cut, please do not hesitate to contact us for additional information or further assistance. Sizes range from six to 14, and you can even add an engraving before finalizing your order!